French Prime Minister Manuel Valls rounded off a three-day visit to Japan with bilateral talks on the nuclear sector. It follows an announcement in September by Japan’s Mitsubishi Heavy Industries stating it was considering taking a stake in Areva NP, the reactor-making subsidiary of French nuclear company Areva. In July, French energy giant EDF agreed to buy between 51 and 75 percent of the subsidiary. At the time it announced it would be looking for partners to take a minority stake. 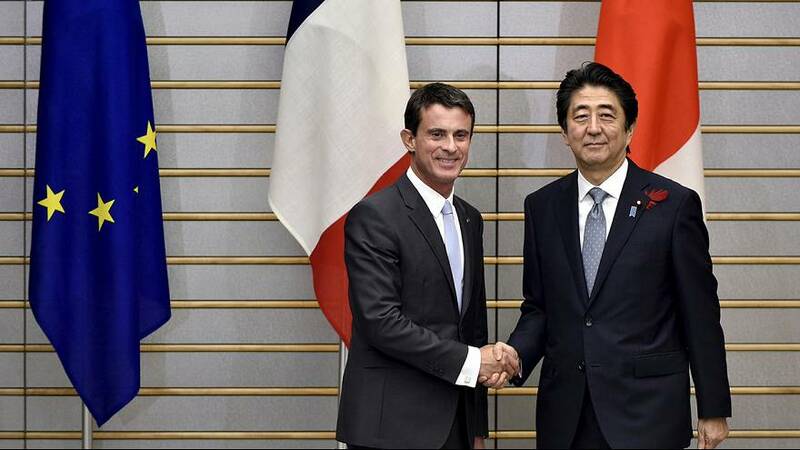 Valls formally asked his counterpart Shinzo Abe for Japan’s help in reorganising France’s nuclear sector. The country has been slowly moving back towards nuclear energy since the 2011 incident, which was triggered by a huge tsunami of the coast of Japan. Triple nuclear meltdowns occurred, forcing more than 160,000 people from their homes and contaminating water, food and air. After over two years of blackout, Japan’s first nuclear reactor was turned back on in mid-August, 2015. This is said to be an attempt to cut fuel bills, despite widespread public opposition to the use of nuclear energy.